This book covers performing mentalism for pre-schoolers to teenagers, even adults will be fooled and entertained by the routines in this book. A treasure trove of effects, essays and advice from real world performers who make their living by entertaining family audiences. This book is destined to become a classic in both the magic and mentalism field. 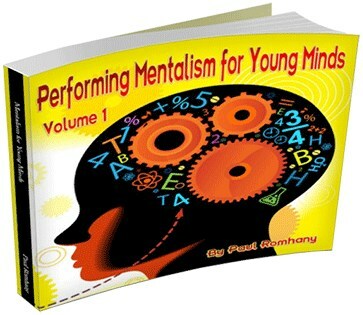 If you ever wondered if mentalism can be performed for young minds then this book will show you it can, and how to do it. A TRIP ROUND THE WORLD IN 8 MINUTES ! byTony Binarelli and "Jules Verne"